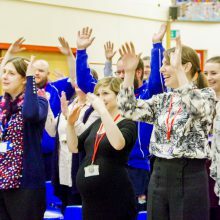 Charanga are a national organisation and the leading UK provider of cloud-based music education technology to support music teaching and learning. This is an opportunity to be trained on the resources they provide and speak with fellow colleagues about how they might be using them. This is an introduction training sessions, LMH are running Advanced sessions throughout February and March. To book your place please email Bernardette.hill@lancashire.gov.uk.